I was a little uncertain whether to post about Digimon Links here, because it’s a free to play game on ye olde App Store. I played it, so you don’t have to, and I’m here to tell you that maybe you should! Yada yada, I get it. I’m a filthy casul. before you go asking the higher-ups to revoke my authorship for this transgression, let me tell you a little about my experience over the past couple weeks with what I find to be a delightful and rather engaging loveletter to longtime fans like myself. The game spreads whatever story it has rather thin, delivered quickfast by Hina who is apparently the only character in the game, and is basically your walking talking tutorial waifu. For some reason, the Digital world is fragmenting, and it’s up to you and your Digimon pals to put it back together. This is when you are taken to your very own farm, complete with - you guessed it - a meat field! Meat is primarily how you level up your Digimon, aside from battling, which we will get to in a minute. Maybe it’s just nice to have a little continuity in a Digimon game. As you work through the normal quests, you unlock a variety of other buildings, including a warehouse to store meat in, as well as a chip factory which I haven’t used yet. My single and only gripe with what appears to be a nod to the town building mechanic of Digimon World, is that I cannot rotate my buildings. Otherwise, it’s all very cutesy and nice! On to the battling! To be dead honest, it’s not the most engaging ever, but what it sort of reminds me of is Digimon World 2 due to its 3v3 setup, except you are tasked with defeating waves of enemies without the dungeon crawling that would be absolutely awful on a mobile device. On the battle screen, you have a generic attack button, as well as a couple different attacks, usually some or other elemental attack with a signature move such as Metalgreymon’s “Giga Destroyer”. There are also support abilities, such as raising or lowering stats, as well as status effects (poison, sleep etc) and they all require ability points, or AP, which you can store up to 5 for each digimon. 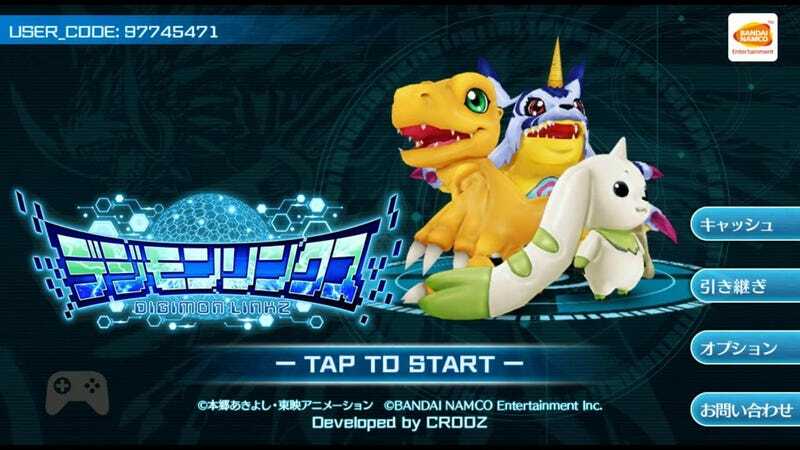 After each “round” (all digimon in the field have attacked) each digimon recharges 1 AP. Additionally, the devs have kindly added a “2x” button which speeds up the battle, as well as an “auto battle” function that toggles so that it will either use abilities or store AP. Neat! Also, there is co-op where you can recruit other tamers to take on levels, earning you a neat co-op bonus. To make it a little more engaging, when doing a co-op, AP is pooled rather than allocated to individual ‘mons. Players can also communicate with cute little stickers, and befriend each other post-battle if they choose to. Along with this, there is the Colosseum, what appears to be a PvP feature that hasn’t been implemented just yet. I get the feeling being competitive might take some grinding, but this remains to be seen. The good news is, the digimon are animated and rendered beautifully! . Taking on levels, mind you, costs “stamina”, which replenishes by 1 every 3 minutes. This is generally where it starts to have the whole F2P vibe, but I find the rate at which it replenishes to be acceptable, if you have time to kill it’s easy to spread it out with lower level quests or just blow it all to get some high-level fuel or Mega fragments. Overall, it’s little more than mindless grinding, some of the harder quests will require some strategizing, though. .So, what is the point of all this?? Why, Digimon, ofcourse! The greatest appeal of this little game is collecting, training, evolving and battling the ‘mons, which I am pleased to say is rather satisfying. There are a rather large amount of them to collect and catalogue, with rewards and achievements for doing so. Digimon are acquired in several ways. If you tap on the little “Capture” button on your farm screen, you will be given various options to perform a capture. They are also sometimes rewarded after quests, and can also be created from eggs by doing “research”. Evolving, or Digivolving as the franchise insists, is achieved by maxing the level of the ‘mon and using elemental fuel collected through quests. Naturally, getting a Mega-level ‘mon takes a bit of work, but I don’t think it’s supremely difficult to get your favourite ‘mon since generally each rookie-level ‘mon can take various digivolution paths. Unlike the original Digimon World (and the more recent PSP game) there is no tweaking of stats for this, it’s as simple as collecting enough fuel of the right type. Or, getting lucky in the capture. Also, no poop! I should clarify that Links is in no way part of the Digimon World series of RPGs. On the subject of fuel, this is generally what the grind is all about. This is where the magic happens, it is rather satisfying to finally collect enough to get that badass mega-level ‘Mon (which require additional Mega Fragments, which aren’t too difficult to come by) Currently, my party consists of a MetalSeadramon, a Wargreymon and a Kuzuhamon. Last, but not least, I have to mention that the soundtrack isn’t half bad! I can’t believe I’m saying this about a mobile game. I discovered this completely by accident, I booted the game up with my headphones plugged in to find that the title theme (some rather upbeat techno) actually has a decent bass groove, and is overall quite well composed. Naturally, the songs are repetitive after a while, but it’s definitely worth mentioning. tl;dr : Digimon Links has a surprising depth to it, with a polish of Nintendo-like quality as far as mobile games are concerned. If you have ever liked Digimon, it’s definitely worth trying. The best kind of Free-to-Play with no actual premium currency or paywalls, and not an ad in sight! Digimon Links, overall, is about as good an app as you will get, and has been my go-to timewaster over the past couple weeks. YMMV, but for me it’s quite nice to kick back and admire the beautifully animated ‘mons. The collecting aspect is not unlike the obsessive (yet equally satisfying) practice of breeding a 5/6 IV pokemon, so if you dont mind a little grind, maybe give it a little try while you are on the bus/train/plane and you don’t have your trusty 3DS or Switch handy. Have you tried ‘Links? Let me know below, or feel free to tell me that I’m a stupid dumdum for taking the time to write about a lesser gaming experience, or even why you don’t consider mobile games to be worth your time. As an aside, I’d also like to discuss where you think the future of handheld gaming lies, particularly with respect to dedicated gaming handhelds as opposed to the formidable library of AAA games showing up on respective app stores? If you’d like a less scatterbrained and more concise writeup, you can also read the Kotaku writeup, here.